When I first began researching the best liquid vitamin for toddlers, I was shocked to learn how many supplements use toxic preservatives to sweeten the recipe for children! As a parent, you know this is unacceptable. Children need vitamins and minerals so they can grow “big and strong” like Mom and Dad. But if your child is a picky eater or gets an upset stomach from certain foods, you really know how a liquid vitamin can solve these problems! 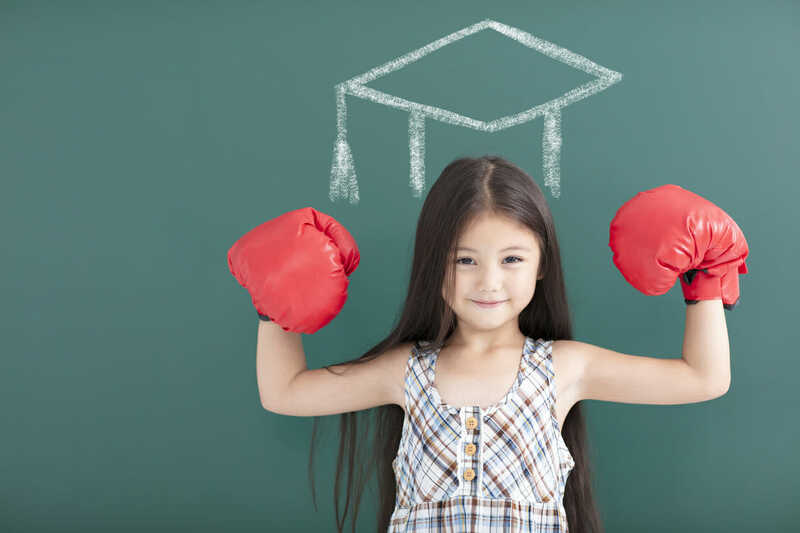 This post will hopefully help you see how IntraKID shines as the best solution for your kids. For toddlers and young children, I recommend IntraKID 2.0 from Drucker Labs (click here to see it on DRvitaminsolutions.com). It’s PERFECT for growing kids! 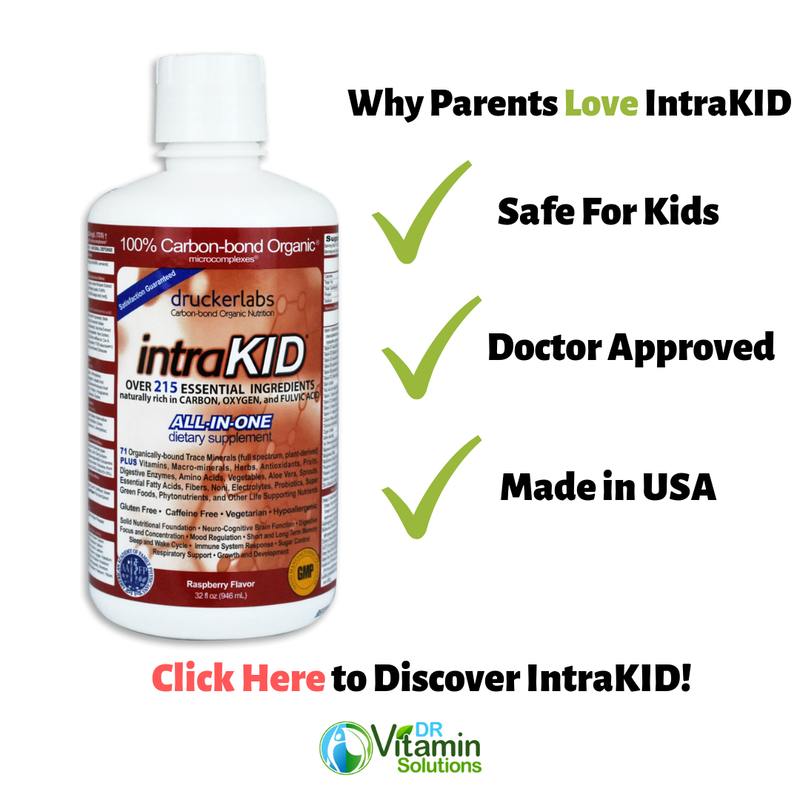 With over 215 vitamin and minerals sourced from plant and homeostatic-soil, IntraKID is 100% organic and formulated by Dr. Drucker to help kids thrive. From the research I gathered on the best liquid multivitamins to personally interviewing Drucker Labs via phone call, I have solid data in this review that you need to make the best decision for your child’s health. On interviewing Drucker Labs, I learned Dr. Drucker uses Monk Fruit, Stevia and Organic Cane Sugar to sweeten IntraKID; uniquely passing any parent’s “quality control” standards. DR Vitamin Solutions has even developed an intraKID Protocol so you know EXACTLY how to use this powerhouse supplement. There are other rivals on the market, but I hear too many complaints about liquid multivitamins that use synthetic preservatives, so I recommend sticking with IntraKID. This should not go without saying, but the liquid multivitamin you choose for your toddler should provide them with 100% of their recommended daily values for all essential vitamins and nutrients. If what you are buying doesn’t, then why would you pay for it? Drucker Labs’ intraKID 2.0 has you covered here, and features all of the nutrients below in amounts which will keep your child feeling and functioning at their optimal health. B12 and Other B Vitamins: B vitamins such as B12 are especially important for your child. B-complex vitamins are your child’s energy vitamins that keeps them vibrant while also supporting their cardiovascular and nervous systems. For a baby, it is recommended that the vitamin you choose provides roughly 0.5 micrograms. For toddlers, they’re going to need a bit more at 0.9 micrograms. Vitamin D: Vitamin D is another important vitamin that you’ll want to be sure your child is getting in the right amounts. In combination with an adequate intake of calcium, vitamin D ensures your toddler develops strong and healthy bones. If sunlight is not regular, intraKID performs as an excellent vitamin D supplement. For both babies and young children, it is recommended that they supplement once daily at least 400 IU of Vitamin D a day. Vitamin E: Ensuring adequate intake of vitamin E for your child will help to maintain peak immune function. For children between the ages of 1 and 3, it is recommended that the multivitamin you choose provides 9 IU of vitamin E.
Calcium: Calcium is especially important for your toddler, and will help to build strong bones and teeth. It is recommended that your toddler gets at least 700 milligrams from their diet or through supplementation. Iron: It’s up to you whether you decide iron supplementation is necessary, but if you do decide to then you should seek out a multivitamin that provides at least 7 milligrams. When kids get the nutrients these 5 Key Vitamins, their developing muscle and brains benefit! This is one of many benefits of IntraKID – the best liquid vitamin for toddlers! I was quite surprised to find while reading up on vitamins, that not all vitamins are able to be fully absorbed by our bodies. So even though the label on multivitamins claim to offer us 100%, our bodies’ may actually be missing out on a significant portion of the nutritional dosage. Besides ensuring the multivitamin you buy for your child has the most bioavailable forms of essential vitamins, you’ll also want to take into consideration that certain combinations of vitamins and minerals can affect your child’s ability to absorb them. As an example; When taken in combination with vitamin C, iron becomes much more bioavailable. Other minerals, such as calcium, can actually prevent the absorption of other nutrients, and so they should be ideally taken separately. The minerals zinc and copper actually compete with each other in your body, and so taking too much of one can cause a deficiency in the other! Drucker Labs has taken this into consideration, and you’ll be pleased to find that zinc and copper are contained in low enough amounts, where your child may still benefit from both. To make intraKID 2.0 even more absorbable, Drucker Labs has used a proprietary IntraCell Technology where the vitamins and nutrients contained are bound with carbon. As a result, they are much more bio-available to your child’s body because all 215 Vitamins in IntraKID are Cold-Pressed. This preserves 100% of the bioavailable content and makes for quicker and more efficient absorption. IntraCELL Technology removes all doubt of your child receiving the nutrition they need to thrive. No other liquid multivitamin on the market delivers like IntraKID! You cannot put a price on your child’s health, but cutting-edge IntraCELL Technology making IntraKID a logical and affordable investment. 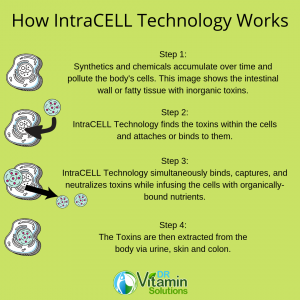 The Best Liquid Vitamin for Toddlers, IntraKID 2.0, retains 100% of Vitamin content through a cold-processing system called IntraCELL Technology. Aside from just providing your child with their recommended daily value of vitamins and superfoods, in order for it to be a truly complete multivitamin, you’ll want it to also provide the minerals and Omega-3 Fatty Acids their body needs to thrive. Calcium: Calcium is especially important to have included in the liquid multivitamin you choose. It will ensure your child’s bones and teeth develop to their strongest potential. There has been plenty of research done that suggests that ensuring your child gets enough calcium early in life will help to maximize their potential for bone mass. This has the benefit of decreasing their chances of developing osteoporosis as they age. Iron: Iron is another mineral that you should strongly consider as a requirement for the multivitamin you choose. This nutrient works to aid in your toddler’s ability to move oxygen throughout their body. If your child isn’t getting enough iron, they are likely to feel sluggish and tired. IntraKID 2.0 provides your child with more than enough, and in the form of Ferrous Gluconate, which is organically bound with intraCELL Technology. This form of iron is one of the most bio-available forms you can find. Magnesium: Magnesium is another mineral you should look for when shopping for the best liquid multivitamin for your child. It has strong effects on both energy levels and bone health, and if your child isn’t getting a good enough amount, they may begin to feel fatigued. An added benefit of magnesium supplementation is it’s ability to improve our sleep quality. So if your child has trouble falling asleep at night, the magnesium that’s provided by intraKID 2.0 is a great aid. Zinc: For a multivitamin to be considered truly complete, you’ll want it to provide a good amount of zinc as well. Zinc is used by your brain to aid in cognition and memory, and it is especially helpful for your child’s developing mind. Potassium: Potassium is another mineral that doesn’t hurt to have included in the multivitamin you choose to go with. It helps support a strong cardiovascular system and aids in the operation of your child’s nervous system. It is important that you don’t over-supplement potassium, which is why intraKID provides 25 mg. This dose is good enough to get your child near where they need to be, without risking them taking too much. IntraKID is formulated with premium Omega 3 Fatty Acids to help develop the brains of children – just one more reason why it is the best liquid vitamin for toddlers! When researching the best multivitamin supplements, I was surprised to find how many different options there were available. Multivitamins geared towards children, teens, young adults, seniors, and expecting mothers are all available and provide different things depending on one’s needs. You’ll want to be sure the multivitamin you choose is one specifically tailored towards the needs of your child. Children’s multivitamins are available in many different forms. You can find them in tablet form, as a chewable, as gummies, or in liquid form. I personally prefer liquid multivitamins for children, and most mother’s also stand by this preference. Liquid multivitamins hold many advantages over the other options available for your child. Tablets, gummies, and chewable multivitamins are often filled with added chemicals and other substances that are simply not necessary. Most liquid multivitamins, such as intraKID 2.0, come with just what’s necessary. An added bonus of liquid multivitamins is that it they absorb much faster than other forms. This is due to it not needing to be broken down by the stomach. If your toddler is especially picky or doesn’t like to take pills, then liquid multivitamins have obvious benefits. If you’ve tried giving your child a multivitamin in tablet form before, you’ve likely experienced some resistance. With intraKID 2.0, you can simply mix it in with your toddler’s favorite drink, though its all-natural raspberry flavor is good enough that you may find this isn’t even necessary! Here’s a good tip- not all liquid multivitamins for children are created equal. There are certainly supplements and ingredients to avoid. For example, some multivitamins use sugar substitutes like Aspartame (also known as NutraSweet) to sweeten their formula for children. Although NutraSweet may sound natural to some, Aspartame is a dangerous artificial sweetener with negative side effects. 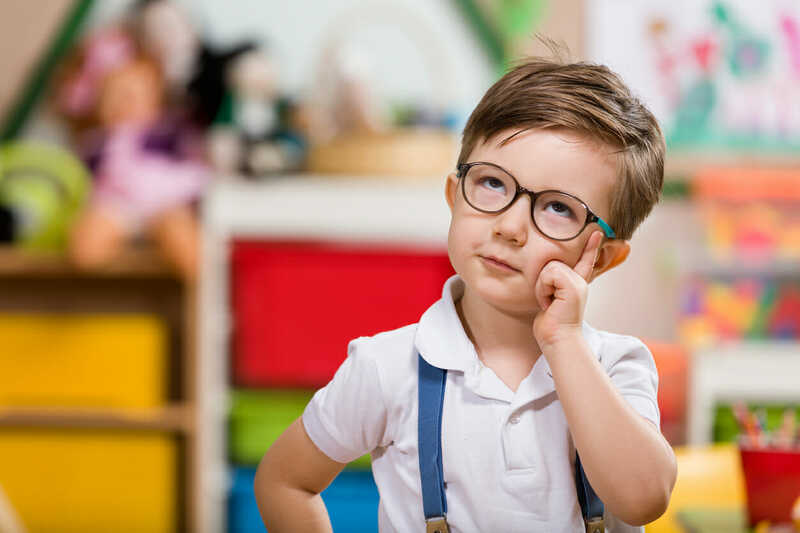 If you choose to go with my personal favorite, intraKID 2.0, you won’t have to worry about dangerous ingredients, but I thought it would be helpful to provide you with some information on what ingredients you’ll want to avoid in a liquid multivitamin supplement for your child. Maltodextrin: Maltodextrin is a cheap filler material in processed foods. If you see maltodextrin on the label, it is a good sign that the product you are looking at is highly processed, and is one you can go without. Due to its high glycemic index, it results in spikes in blood sugar, followed by sugar crashes later in the day. Aspartame & Other Artificial Sweeteners: These controversial artificial sweeteners are often found in diet sodas. It is still up in the air as to whether or not they are unhealthy, but they do cause blood sugar spikes in many. These are best avoided, and more natural forms of sweeteners, such as what’s found in intraKID 2.0, should be sought out instead. Artificial Colors: We all know how appealing a bit of color is to our children but when it comes to a multivitamin, but these additives just don’t belong in a healthy diet. Coloring agents in food have been linked to a whole host of health issues including hyperactivity, slowed learning, aggressiveness, allergies, and irritability, just to name a few. Sorbitol & Mannitol: These are sugar alcohols used to sweeten up liquid, chewable, and gummy multivitamins, and should be avoided. They have a reputation for causing upset stomachs and discomfort in some kids due to their body’s poor ability to digest these unnatural compounds. Carrageenan: Carrageenan is a thickening emulsifier that also may cause digestive upset and inflammation. It is best avoided. A few last things for you to consider when shopping for a liquid multivitamin for your child include allergen content and overdosing of essential vitamins and minerals. Aspartame is one ingredient listed that kids do not need in a health supplement. Take a close look at the labels of the multivitamins and health supplements you consider. Some of them may contain dangerous ingredients such as dairy, soy, corn, and yeast, all of which may cause an allergic response in those susceptible. You may also be thinking that the more the better, when it comes to vitamin and mineral supplementation, but this is incorrect thinking. Too much of a good thing may be detrimental to your child’s health and so it is best to be on the safe side, and stick with a multivitamin that provides just enough, or 100% of their recommended daily intake. The Bottom line: IntraKID is impressive. ☑With more than 215 essential nutrients, prebiotics, digestive enzymes, and super green foods, this whole food multivitamin is the best choice for parents that want the best liquid vitamin for toddlers! ☑Made in USA, with a natural Raspberry flavor that kids love! At DR Vitamin Solutions, we want you to know exactly how to use the supplements we recommend, we have created an IntraKID Protocol so you can have a guide for using this supplement. Click Here to see it on our website! Thank you for taking the time to read The Best Liquid Vitamin for Toddlers. Your child’s natural vitality is our passion. If you have any questions, please contact us via email or phone-call, hearing from you would make our day! This entry was posted in Kids & Parents, Vitamins & Supplements and tagged 2019, Drucker Labs intraKID, Drucker Labs intraKID 2.0, intraCELL Technology, intraKID, intraKID 2.0, the best liquid vitamin for toddlers, vitamins and minerals on 04/12/2019 by Kurt LaCapruccia. Best Vitamins for Itchy Skin with Rashes – Ditch the Itch!